Actor Nani is known to portray emotional roles excellently. Nani is back with another emotional character, Arjun. 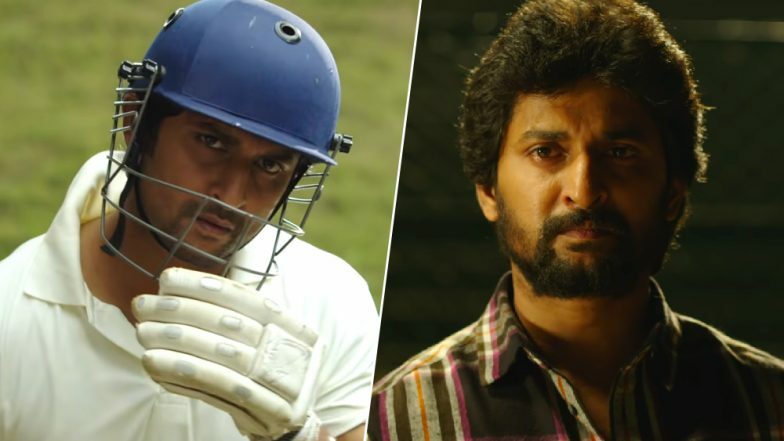 The much-awaited trailer of the upcoming film Jersey is out and Nani is seen playing the role of a middle-aged cricketer in this emotional sports drama. Directed by Gowtham Tinnanuri, this trailer also shows how Arjun’s personal life turned upside down with Sarah (Shraddha Srinath). This trailer has opened to positive response from the masses and fans have already touted it to be a blockbuster. Majili Movie Review: Twitterati Go Gaga Over Samantha Akkineni-Naga Chaitanya’s Performance – Read Tweets. The beginning of Jersey trailer shows how happy is Arjun (Nani) in his personal life as well as with his career. But eventually he loses his place in the cricket team and that changes everything. Arjun who fails to manage his career, ends up stealing money from his wife’s (Sarah) wallet. Seeing his family life going up for a toss, he decides to get back to cricket and earn a living. At the age of 36 how he manages to pull off as a cricketer is something what the audiences have appreciated. This emotional drama is winning hearts already. Super Deluxe Movie Review: Fahadh Faasil, Samantha Akkineni, Vijay Sethupathi’s Thriller Is Worth Watching, Say Critics. Nani and Shraddha Srinath’s chemistry is also been praised by fans. Produced under the banner of Sithara Entertainments, the film is scheduled to release on April 19, which is hardly days away. Share your thoughts with us about Jersey trailer in the comments below.